EXPLORING THE POSSIBILITIES OF FUTURE DIRECTIONS. With Assassin’s Creed Origins wrapping up its story-driven post launch content with The Curse of the Pharaohs, we take the road of anticipation and speculation towards the next Assassin’s Creed. Where are we going next? what era? why? and how will the game evolve in terms of gameplay, character development and story progress? This article will not only explore the possibilities for the next experience, but also provides feedback and suggestions regarding how the franchise can evolve. 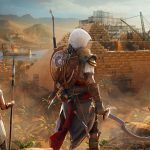 Assassin’s Creed Origins brought numerous changes, most of which were a welcome renovation to the brand. Let’s discuss the most important aspects of an Assassin’s Creed game and how the next game can either build upon or change what Origins brought to the franchise. The latest installment, Assassin’s Creed Origins finally brought the long-awaited Egyptian setting, which is by far the largest world in an Assassin’s Creed game, to date. Not only the world is large in size but also insanely rich and diverse. From barren deserts to lush Islands, and from tall mountains and green hills free of any wildlife or people that extend as far as the eyes can see to crowded cities, the world is full of wonders and exploration became a joy in and of itself. Instead of glowing Animus Data Fragments or treasure chests that used to motivate (or force) completionist players to explore, the world is vast, rich, beautiful and diverse enough encourage all player to explore, because there’s always more to see. Contrary to its last two predecessors, Assassin’s Creed Origins’ world features a multitude of small and big cities in addition to the wilderness in-between, which further capitalized on the diversity in scenery and atmosphere, the activities players can perform, the types of people Bayek encounters, and the great variety in the types of architecture and the sizes of structures that Bayek can explore and climb upon, each for a different purpose and also from a different era of Egypt’s history. The next Assassin’s Creed could greatly benefit from another rich, vast and diverse world that would give players the curiosity, the joy and the incentive to navigate through, rather than through random collectibles, and of course, to feature more than one city that vary between densely populated cities and far less populated wilderness connecting the big cities to one another, providing a seamless adventure and a variety of atmospheres and tones. With the release of Assassin’s Creed Origins, players witnessed a major revamp to the gameplay formula, with more focus on unrestricted gameplay, RPG elements such as the presence of a skill tree and leveling system and numerous customizations and equipments. With these changes in place, other prominent elements were dropped from the games both in Origins and the last few games, such as hidden blade combat, weapon and equipment wheels, social stealth (e.g. blending-in among the crowd) and the absence of the Eagle Vision which was replaced by Senu the eagle, the most literal representation of the sixth sense which other Assassins (and some Templars) exhibited in the previous games, the ability of Bayek to see through Senu’s eyes to gain a higher perspective of his surroundings. Players lamented the absence of social stealth the most as it is one of the most prominent features of the games because it’s strongly related to the tenants of the creed. Of course, its absence is understandable in Origins as the game is supposed to be an origins story, where the tenants have not yet been incepted. The lack of social stealth might have facilitated a more enjoyable gameplay to the casual gamer, but it was perceived by fans as an amputation of a prominent feature that defined the franchise. Upcoming games can bring it back while still giving players the choice whether to take a confrontational approach, neglecting social stealth completely or by taking a stealthy approach to reach, assassinate and leave the target’s area unnoticed. Assassin’s Creed Origins emphasized on customizations and numerous weaponry, this of course was more enjoyable from a gameplay perspective and it suited the time period, but was a drastic departure from what it means to be an Assassin. The very definition of an Assassin is a skilled, light and stealthy figure who blends in with the crowd to reach and assassinate a target without raising suspicion, and even to preferably escape the area unnoticed, in order to avoid being identified nor tracked and eventually bringing danger to the rest of the brotherhood. The very definition of an Assassin goes agains the idea of a walking armory of a warrior, dressed in the most distinguishable outfits, carrying larger-than-life weapons and gadgets that could raise suspicion from miles away. The most honest representation of an Assassin according to this commonly known description is the Assassins in the original Assassin’s Creed game. Altair was skilled, light, agile and carrying as little items as possible. Of course, the idea of allowing players to select weapons from an endless supply of variant weapon classes and designs and allowing players to upgrade each weapon and to match them with other gadgets and the character’s outfit, is both admirable and understandable from a gameplay standpoint. On the other hand, it is one among many of the aspects of the Assassin’s Creed franchise that is further alienating the brand from the ideals that it once set for itself, and at this point, it’s to further emphasize on customization and furthering making the games feel more focused on combat than stealth and agility, and it’s also hard to revert back to giving players only 2-4 weapons that roughly remain the same until the end of the experience. Games like Horizon Zero Dawn and The Witcher III: Wildhunt offer a different approach with customizations. While both games offer numerous weapons to crafted, purchased or found across the world or from critical moments in the story, the offer a way to further empower those weapons whether by the application of oils, coils and similar additional component that make sense from narrative standpoint in terms of empowering a weapon. Unlike Assassin’s Creed Origins where there’s no tangible upgrade occurring to each weapon (save for the bracers, hidden blades and armor) aside from an imaginary “player level”. Future Assassin’s Creed games could allow players to find components or resources and using them to craft components that the Assassin can use himself or take to a specialized person to upgrade his/her weapon and those upgrades can be directly seen after the process in the form of a minor change in the weapon’s design or the appearance of the component which was used to upgrade the weapon, on the item itself, such as an extra wooden or metallic handle or a coil..etc. Another example is critically acclaimed God of War, [SPOILER WARNING] where the player is given a fixed set of weapons and armor that can be evolved in different ways throughout the game. The main character, Kratos has two weapons; The Leviathan Axe and the Blades of Chaos, in addition to his bare fist and a shield (Guardian Shield) while his companion Atreus (his son) has the Talon Bow, which the player can control seamlessly with a press of a button, in addition to Katos’ weapons and shield, players can customize his armor either by purchasing a new one from the store, upgrading existing armor and finding resources to craft a new one (some of which are acquired through main and side missions and defeating specific targets). While body armor can be completely replaced, the weapons cannot be, as players cannot get a new axe nor a different set of Blades of Chaos. Those are prominent weapons that players can only enhance through a skill tree or replace some component in them such as the handle of the axe or the blades and its pommel or by adding a talisman to his entire gadget set, all of which affect the stats of the protagonist such as vitality, strength, defense, cool-down (since the game uses mythical powers that require recharging)..etc. God of War set a great example of a system that can be implemented into the Assassin’s Creed franchise which offers customizations but within the boundaries of what makes sense within the lore. For a skilled, light and agile Assassin who hides in plain sight, massive weapons and armors are not an ideal way to approach the world as a blade in the crowd. Future Assassin’s Creed games could offer players a fixed set of gadgets like a hidden blade(s), throwing knives, and a sword or a dagger, those components are fixed and are irreplaceable but they can be further upgraded with resources found within the world of the game, preserving the essence and the design of the original weapon while adding extra components and slight modifications that can enhance their performance as the player progresses, instead the use of imaginary weapon levels. The game can still offer players much more freedom in purchasing an entirely different armor or upgrading existing armor pieces in a similar way to the weapons. As for the missing Eagle Vision, its return depends on various elements in the next game. Will the player also have a companion eagle? will the eagle vision be an “ability” that the protagonist has due to high concentration of First Civilization DNA, and thus being able to see through the eagle’s eyes (similarly toConnor’s daughter) or will it be a realistic relationship between a hunter and his eagle? 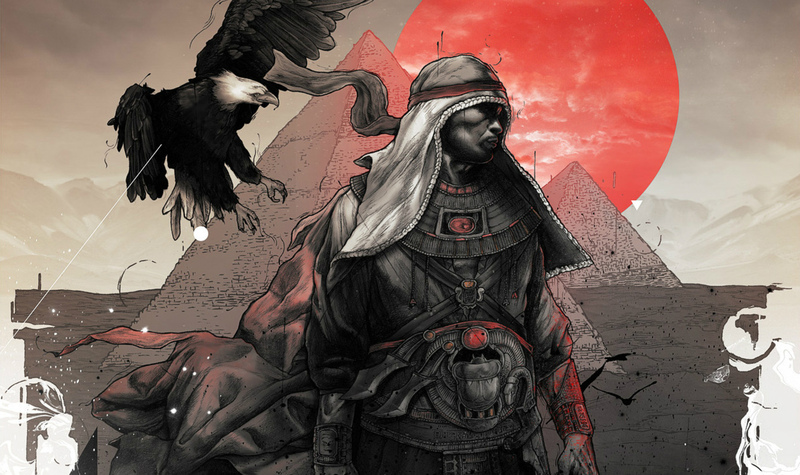 the original concept of the Eagle Vision, in which Assassin being able to foresee people’s intentions or traces of them that are invisible to the regular human eye or envisioning an entire scenario based on clues left here and there (also due to high concentration of First Civilization DNA), was totally neglected in Assassin’s Creed Origins. So will the next game reintroduce that concept in order to use it again in the coming games or will it feature another eagle? of course it is every fan’s wish to see a rationalization between either scenario that makes sense within the lore rather than implementing it as a pure gameplay feature, vaguely justified by the Animus. 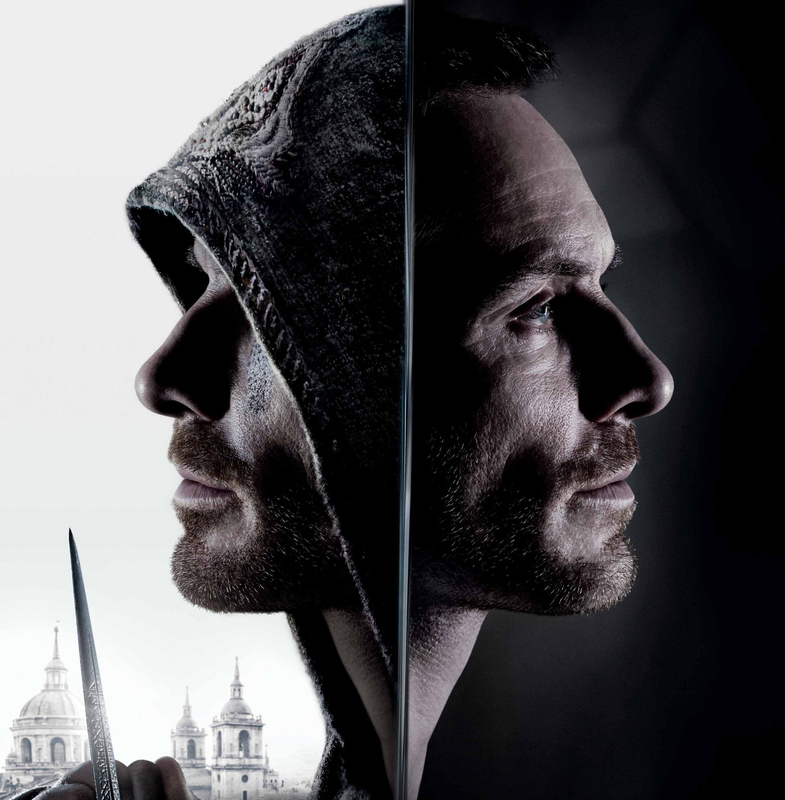 Since the dawn of the Assassin’s Creed franchise, the games featured an interconnected narrative featuring a present day story and an historical one, and both evolved alongside each other with the historical one being a source of crucial information that the present day protagonist uses the Animus to relive through their genetic memories and use the information obtained to solve present day issues. In addition to that, even the historical stories, despite featuring different protagonists and entirely different time periods in each numbered title, their stories influenced one another, in addition to how the Ezio Trilogy featured the same protagonist growing and evolving across multiple games, providing players with a full experience, a journey that allowed players to witness a full arc for a character that players invested themselves into more than any other. Assassin’s Creed Origins came as a revamp to the brand, introducing a new and an established present day protagonist (the first time since Desmond Miles’ last appearance in Assassin’s Creed III, 2012). 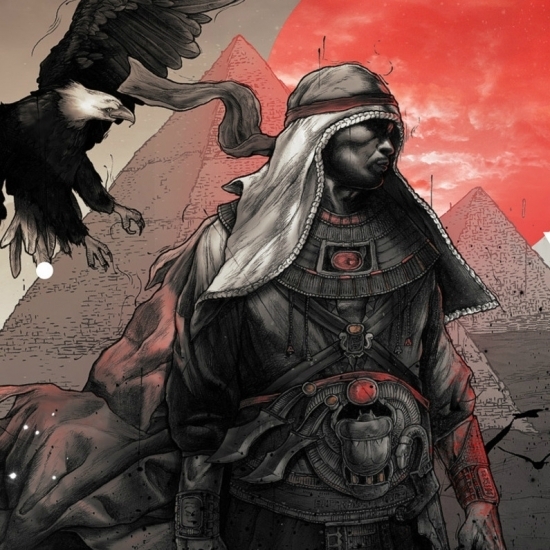 While Assassin’s Creed Origins remains canon, the story of Layla doesn’t continue the conflict with Juno, which is currently being developed in the Uprising comics. It’s a new story arc which requires a lot more time in the upcoming games to fully establishes itself and gain the attention of the fans of the lore. Origins brought lore elements such as First Civilization sites, buried deep within the deserts of Egypt or beneath the pyramids and tombs of the pharaohs and provided enigmatic vocal transmissions, directed towards Layla (without naming her personally, but evident from the reference to the timeline, discoveries and historical events) which hint at various topics such as another cataclysmic event and apparent references to altering the timeline (learn more about the transmissions, here). Among the storytelling issues of Origins were that the historical protagonist Bayek, unlike Ezio, showed no real reactions towards the discoveries, and neither did Layla. The latter seemed even more indifferent towards all her discoveries regarding the First Civilization through living the genetic memories of Bayek of Siwa, which was quite underwhelming as the Assassin’s Creed brand often emphasized on the mystery, the meta-story and the sci-fi elements at least up until Assassin’s Creed: Rogue, while Origins, while much more attentive to the lore than Unity and Syndicate, still treated the Pieces of Eden as mere magical objects, without any reals scientific analysis nor any attempts to draw parallels with other games in the franchise, despite the countless opportunities to do so. Setting the story of the origins of the brotherhood in 49 BCE created a large controversy among Assassin’s Creed fans, in addition to the very fact that Origins was marketed as the birth of the brotherhood and sold with the expectation to set the foundation of the creed. 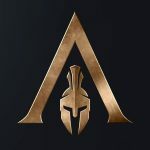 The past Assassin’s Creed games mentioned numerous Assassins in addition to their insignia (which Origins assumes that its inception came from Bayek) existing long before Bayek such as the Assassins Darius and Iltani, along with the fact that Adam and Eve being considered the first Assassins, and they walked the word circa 75,000 BCE. Fans are still questioning what Bayek means to this overall story. Is he the founder of the creed? Is he another reformer that predated Altair by a thousand years who happened to have similar values to the larger creed which was known by a different name similarly to how Bayek’s creed is known as The Hidden Ones rather than the Assassin’s Creed? If that’s the case, then did the fighters for free will that predated Bayek have any similar tenants to those shared by Altair, Ezio and Connor, for example? And on what basis were they all considered part of one Creed even when Bayek seems quite oblivious of any roots before him? All these questions led to fans questioning the validity of the Assassin’s Creed Origins lore and how honest it is as an origin story to established lore or if its story ultimately retcons all that fans have been invested into for the past ten years of the franchise. Ideas are often share by numerous individuals, sometimes without one group knowing about the other. It’s possible that Bayek created an idea based on his circumstances, without knowing that his ideas were shared by groups that predate him by centuries. The Hidden Blade he uses which is given to him by Aya is excavated from a tomb, which does confirm that it existed way before him. So there’s still a chance for upcoming games to emphasize on that aspect and work on exploring the true origins of the brotherhood and bridging the gap between Bayek and the Assassins along with the creed that predated him. From the first glance, the term “The Old Man, himself” may be Altair referencing Al Mualim. However, upon further examination, one can rationalize that Altair doesn’t sound like he’s referencing Al Mualim, as nowhere in the games do they regard Al Mualim as the man who created the Assassin’s Creed, nor that no creed existed before him. 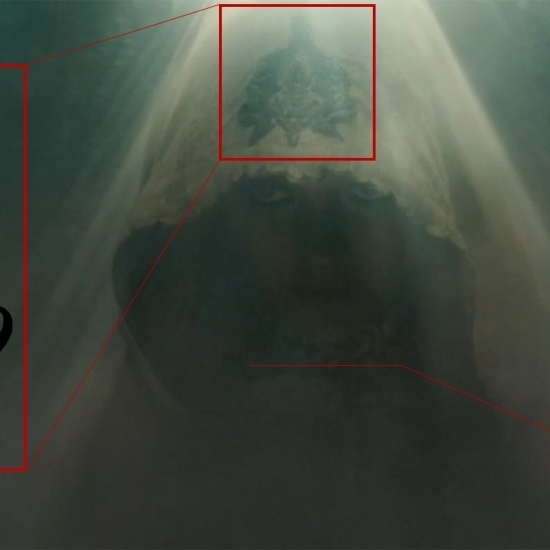 The only reference is that Altair was the reformed of the creed. For Altair to write his Codex during the twenty years he spent in seclusion, studying the Apple of Eden, an artifact with the power to show visions of the past, among many other functions, he likely did have a larger understanding of where the Assassin Brotherhood’s roots lie, at least for several centuries before Al Mualim. The term “The Old Man” becomes a clearer reference to Bayek of Siwa, a character who was not yet established by Ubisoft during the times of Assassin’s Creed II where we get to explore the Codex pages, and therefore he was not mentioned by name in The Codex of Altair, which makes a lot more sense as Altair, with all his wisdom and knowledge, could not have been under any illusion that no creed predates Al Mualim, but he likely knew of Bayek and he speculated the possibility of a creed that predated him, and that what was known at his time as the foundation of the creed may have merely been a rediscovery of something that predates it by millennia. This is a great plot point that can be used in future installments of the franchise to ensure that the story of Assassin’s Creed Origins does no confuse players into thinking that it’s a retcon for the franchise nor in any way an inconsistent story that causes confusion among fans. Among the other important plot points that fans discussed was how Origins did not invest enough time in exploring the tenants of the creed, nor elements of classic gameplay such as social stealth. Origins spent a lot of time exploring the revenge story where Bayek and Aya were seeking to avenge their murdered son, Khemu, along with their involvements with the politics and the figures that led to the fall of an empire and the rise of another. This led numerous fans to question whether Origins truly lives up to the expectations that its title conveys and what origins were established when the story merely referenced one of the tenants on the fly in a DLC, while the main focus of the story was a self-contained journey of revenge, the end of the Pharaonic rule and the rise of Rome, which makes the working title “Empire” a much more suitable name for the latest installment of the franchise than Origins. Assassin’s Creed Head of Content, Aymar Azaizia noted that a global creed like the Assassin’s Creed cannot logically be established in a year or two, and it would take centuries to full develop itself and its tenants. If Assassin’s Creed Origins is part of an origins trilogy or a saga similar to that of Desmond Miles’,in which the following games will focus on other eras and settings both before and after Bayek, this will be a great opportunity to focus on different characters either inherit the elements of The Hidden Ones after Bayek and further develop them, or focus on the members and the groups that evolved long before Bayek, and perhaps the ones from which Bayek received his Hidden Blade, and perhaps even feature Bayek and Aya as playable characters or NPC in one of those experiences, and further bridging the gaps and the confusing plot points which Origins gave rise to regarding the state of the Creed before Bayek and its true origins. As for the present day story, our new protagonist Layla Hassan has a lot of growing to do as a character, and a lot of research to get into within the coming games. Assassin’s Creed Origins introduced her as a brilliant young women aspiring to rise in the ranks of Abstergo under the supervision of Sofia Rikkin and other prominent figures of the Templar Order like Simon Hathaway. The experienced transformed her, making her turn her backs on Abstergo and the Templars as they attempt to kill her for her disobedience and curiosity, and eventually she was visited by William Miles and by the end, they’re both awaiting a helicopter for extraction. Layla Hassan has a lot of room to evolve as a character, learning free-running and combat skills, as well as having some defined goals beside her own curiosity and aspirations to rise in the ranks of Abstergo or evolving the tech of the Animus. Discussing and rationalizing the transmissions of the First Civilization and possibly exploring their high-tech vaults in present day and finding a Piece of Eden, and learning more about the concepts of a time-traveling Animus, The Code, simulated reality and the looming end of the world, which was hinted by the transmissions. getting in touch with the Assassins through William Miles, avoiding being captured by Abstergo. Learning more about the fate and the whereabouts of her friend, Deanna Gary. Using the knowledge about Bayek and Aya in a productive way in the present since Origins did not give many good reasons why she’s going through their genetic memories. Developing her own Animus and many more original. New plot lines that could tie her story to that of other present day figures such as Shaun, Rebecca and perhaps the characters from the Uprising comics. If the franchise returns to its interconnected nature, intertwining present day stories and historical ones (even starting from the new arc introduced with Origins) ensuring they go hand in hand in terms of using the Animus to discover crucial information through the Animus and using them for critical matters in present day and allowing that story to evolve within the same and further expanding with its successors in a significant way, as well as making sure that each historical story has deep connections with the historical stories of its successors and predecessors, and that’s not necessarily through the use of the same protagonist or setting (even though I personally prefer giving a character more than one game to develop and to travel to other regions of the world to explore), this will ensure that the story will feel engaging enough for fans and newcomers alike, to invest time into, and one of the biggest complaints against the overarching narrative especially in recent years is that it’s delivered in a very small and insignificant way that longtime fans do not find it to be fulfilling and newcomers will hardly notice it, let alone caring to invest time into it, and by bringing the interconnectivity of the stories to the forefront of the games and emphasizing on how each game is part of a great narrative, fishing pre-existing plot points and following each character’s journey (historical or in present day) and story arc to the end, rather than abandoning it after the credits of the game that introduced it roll and starting over with something entirely new in the following game only to suffer the same fate, players will realize the importance of the story and find the incentive to invest time into it and even going back to play or even read about the past games and their plot points which is fairly easy with the presence of remasters, encyclopedia books of the franchise as well as the online fan wiki which any franchise big or small has one dedicated to it these days, making it quite effortless to find information about absolutely anything that they might have missed in games. The original Assassin’s Creed introduced the Animus as a device developed by Abstergo Industries which works as a simulator for genetic memories of the subject. The Animus had its perks and limitations, some manifested in the forms of glitches, the inability to skip to a specific point, only to fast-forward at specific moments, the lack of subtitles and the ability to swim. Future Animus versions evolved to fix a large number of those setbacks, which was a welcome expansion of gameplay opportunities and functionality, yet the recent games have been exploiting the idea of the Animus as a simulator to introduce obvious gamey concepts, to the point that everything, including uncanny aspects, is possible with the Animus, and that’s not a positive thing, because when the franchise began, Desmond Miles was kidnapped by Abstergo and forced to use the Animus in a short period of time, for prolonged hours, regardless of the side effects, in order to accomplish a critical goal. With time, the Animus was no longer restricted to Abstergo, and no longer a device used just by the Assassins and Templars, but rather given to Abstergo Entertainment and the player’s role was to capture footage for a movie, and later the whole concept of genetic memory stopped requiring a live subject and the idea became the Helix which is basically a gaming console, not to mention how most of the Animus flaws were solved and the restrictions were removed. This has greatly damaged the seriousness of each game. Once the player was rushing to overcome the setbacks of the Animus and the danger of Abstergo to reach an artifact in a race against time, slowly degraded into a mere entertainment product that a random player is using, who happens to get contacted by the Assassins and eventually forgotten, with no real character development or any progress. Despite the fact that Assassin’s Creed Origins brought back a third person playable protagonist, there weren’t any real goals behind Layla’s experience and there were too many customizations and freedoms within the Animus, not to mention the uncanny manifestation of gods and monsters to which the game offered little explanation other than “a glitch” or how The Curse of the Pharaohs briefly mentions that the Apple of Eden was able to cause mass and shared delusion of gods, kings and fully constructed afterlife segments manifested with just one Apple. Something which never known to be possible with just one Apple across vast distances and in such elaborate manifestation. It is understandable that the development teams want to take advantage of the Animus technology to give more freedom in gameplay and the introduction of different elements. However, most of this came at the expense of the tone of the games, the importance of the player’s role in the experience. An person who’s put under the stress of saving the world, evading the almighty Templars represented by Abstergo which infiltrated every government and has a finger in every pie, would never have the time with too many customizations nor to be battling ancient gods that offer zero plot evolution or even experience story points in an ancestor’s life without having any reasons as to why it’s important to their research. The Animus can still evolve and gameplay can be enhanced in different ways, but the evolution needs to have a good explanation within the lore and some good significance to the plot, including the present day. Also, the games should return to the darker tones within Abstego Industries and refrain from treating the Animus as a form of entertainment nor putting the players into the shoes of characters who don’t feel the seriousness of the entire experience that we’ve been going through since 2007. Since Assassin’s Creed: Brotherhood, multiplayer became part of the franchise in some shape or form. At first it was competitive, and with “Unity”, it embraced a cooperative formula, allowing players to explore the world of the main game with friends and complete missions specific for co-op. 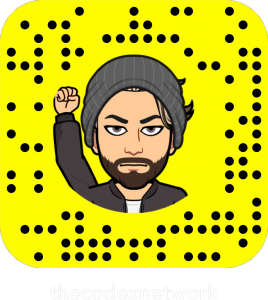 Assassin’s Creed: Syndicate was the first to drop the multiplayer completely with Origins continuing as a purely single player experience, leaving online elements restricted to community challenges without any real interaction between players within the game world. Personally, I believe the Assassin’s Creed franchise has always been a single player experience, and the resources put into the multiplayer are better off spent on an overall better single player experience with present day and historical stories given the utmost attention and care, and I believe a large portion of the fan base agrees with that notion. However, another significant part of the community calls for the return of multiplayer elements in the Assassin’s Creed franchise, which brings us to the survey sent by Ubisoft to select players around the world, asking about various aspect that they’d like to see in future Assassin’s Creed games. Among the suggested features is the ability to create and customize characters. Whenever the subject of present day gameplay is brought up, the community is divided between wanting a full return of present day missions with improved gameplay and exploration while the other side wants the games to purely focus history and ignore the present day altogether. There’s been numerous and suggestions sent to the development teams of the Assassin’s Creed franchise, players heard multiple responses with some stating that they’re listening to what fans want while others suggesting that the main focus of the games is standalone history stories while present day will remain as more of a context and comics will be taking caring of the majority of the present day stories, due to not many players being invested enough in present day. How can Ubisoft attract the attention of players towards the present day? Assassin’s Creed: Brotherhood, Assassin’s Creed III offered a great change of pace from the historical segments. The evolution of the plot and how the present day story moved hand and hand with the historical segments was impressive. The haunting and informative cyberspace experiences of “The Lost Archive” and “Desmond’s Journey” and even the original Assassin’s Creed offered a huge sense of mystery that motivated players to want to know more. Abstergo Industries was a sinister organization with ulterior motives, and the player was always in a race against time to reach a specific artifact or location at a critical moment, with quite a great pay-off in the end, one that keeps players at the edge of their seats, waiting for the next game to continue. The Assassin’s Creed community is intelligent, dedicated and eagle-eyed. Fans often look for the tiniest details here and there, in hopes to find clues that lead players to the next plot point or more information about a specific character. Recent games, including Origins have offered numerous clues yet none of these clues appear to be more than Easter Eggs or nods to the fans, without any real context. They give the illusion that they’re important, but they don’t go beyond the credits of their own game. So how can the present day possible evolve in order to gain the approval of the majority of the community? Engaging storytelling: and an interconnected narrative with a defined beginning and an end, insuring players will follow an entire arc that culminates with a rewarding pay off that goes way beyond bits and pieces of information scattered here and there in notes or emails, but rather a well-direct set of conversations, cutscenes and big gameplay moments. Not to mention that the hidden clues which players actively search for and analyze. Whether it’s a QR code, a cryptic sentence, binary messages or Braille, the outcome should offer more than a sentence which is relevant to the lore, which eventually don’t lead anywhere and never gets picked up but future releases. Improved gameplay: the present day gameplay in Assassin’s Creed games is often quite restricted, scripted, simplistic and plain unrewarding and uninspired since Black Flag. Most missions are quite restricted to walking from point A to point B in the same room or building in order to hack a computer, read a memo or flip a switch. Even Assassin’s Creed II, III and Origins, despite featuring combat in one shape or form, it was a poor imitation of the historical combat or restricted to melee, also mimicking the animations of Ezio, Connor and Bayek, respectively. 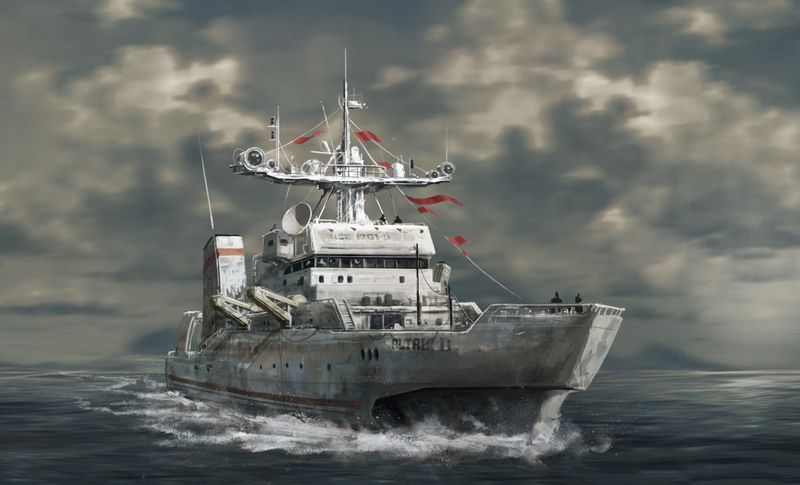 Players will be much more engaged in the present day if it offers a more enjoyable gameplay with infiltration missions, retrieving artifacts, gun, sniper or even hidden blade combat would be quite welcome, not to mention the introduction of a much larger game world for the present day than what Black Flag, Rogue and Origins had to offer. Future Assassin’s Creed games could take advantage of the same assets used to construct the historical world, in order to provide a much more elaborate playground for the present day. Secluded areas, mountains, outskirts of cities, caves, First Civilization sites and massive historical locations can be utilized for the present day segment, similarly to how Assassin’s Creed II and Brotherhood handled the Colosseum and Monteriggioni. Now, since multiplayer changed form multiplayer times throughout the franchise’s lifetime, it could be reintroduced as part of the modern day experience, rather than the historical one, allowing players to join forces in order to solve co-op specific missions similarly to Unity, and there are countless ways this could be implemented, whether it’s in a competitive or a cooperative way. 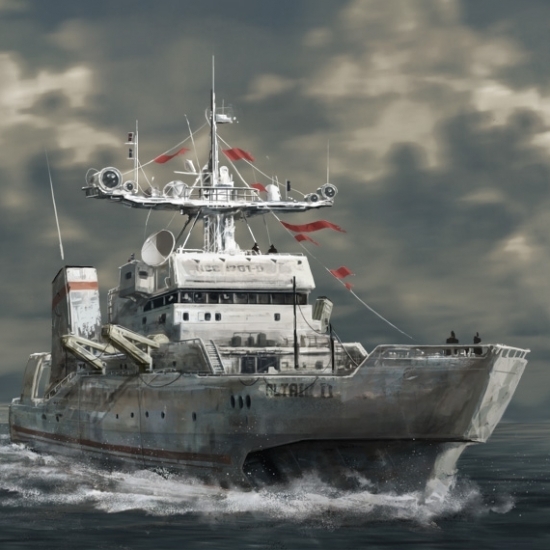 Players can be assigned to two or more teams like Abstergo/Templars or Assassin’s, and can take on infiltration, safeguarding, Assassination or rescue missions and the game can also introduce factions like the Instruments of the First Will or Erudito Collective, with different objectives such as hacking, research, analysis and data-gathering, and since character creation is being suggested in the Ubisoft surveys, the multiplayer segment may allow players to create their own characters in a similar manner to Ghost Recon: Wildlands and The Division, offering customizations, role and faction selection which offer their own skill sets which can be evolved through skill trees. This will be a huge incentive for players to experience the Assassin’s Creed franchise under a different light, with each game offering rich experiences in historical setting as well as the present and further increasing the longevity of the game, with story being told in each segment (including multiplayer), and this will cement the importance of present day and help players get to know the already established characters and important plot points, all while making the experience quite engaging itself from a gameplay standpoint. The Assassin’s Creed franchise has gone through various changes throughout its ten year-long existence. Among the most highly regarded aspects were the historical worlds, the lead protagonists and the meta-story. The interconnected narrative manifested in trilogies of one historical character like Ezio and a larger story led by Desmond Miles created a huge sense of dedication and investment in the hearts of countless players around the world. The pivotal points of the franchise represented in an ancient and an everlasting conflict between two factions, genetic memory exploration, an advanced ancient civilization gave the games a very distinguished feel that most franchises lack. It’s what makes the franchise stand out as one of the most remarkable narratives in gaming history. There possibilities are endless in terms of what settings can be explored, what stories can be told and how far in the past the experience can take place, given the fact that both the Assassins, the Templars and the First Civilization have existed for the past 75,000 years, with the latter going far beyond. Our world is rich in various civilizations such as Sumer, Babylon, Greece, Rome, Japan, China, India and countless others that span centuries and millennia and the concept of genetic memory can take us anywhere, and in addition to that, conspiracy theories and ancient astronaut theories, both being the basis of various plot lines in the games such as the JFK Assassination, Hitler, the moon landing and of course, the First Civilization, give the development teams boundless freedom to keep the original tone, the seriousness and the sense of importance that the Desmond Saga had, and explore that in different ways whether in a singular experience (the first Assassin’s Creed game), a directly-linked trilogy (Ezio Trilogy) or an over-arching historical story featuring multiple characters from the same family across a relatively short periods of time, or within a specific continent or region (The Kenway Saga), and maintain the interest of long-time fans and newcomers alike with more focus on storytelling through video games, and expanding the world with original stories in transmedia instead of taking out video game plot lines and finishing them in transmedia while the games continue to ignore what players have dedicated countless hours into for the past ten years. The Assassin’s Creed brand is a strong, capable and expansive franchise with a massive following, and like any franchise, it can benefit a lot from constant reinvention and evolution through times, introducing new mechanics and technology all which can be supported by the ever-changing human eras throughout history which the games are dedicated to exploring, without losing it’s senes of identity or the very foundations which set it apart from other franchises and gained the love and dedication of millions of players.